Dr. David Houghton, MD is a Doctor primarily located in Louisville, KY, with other offices in Hammond, LA and Slidell, LA (and 1 other location). He has 11 years of experience. His specialties include Neurology. Dr. Houghton is affiliated with Ochsner Medical Center-Westbank, Norton Hospital and Ochsner Clinic Foundation. He speaks English. The overall average patient rating of Dr. David Houghton is Great. Dr. David Houghton has been rated by 15 patients. From those 15 patients 1 of those left a comment along with their rating. The overall rating for Dr. David Houghton is 4.5 of 5.0 stars. My brothers and I had explored all options and had begun to think there was nothing we could do for our father. My father had Parkinson's disease and the progression was getting worse or so we thought. After several different neurologists that seemed to all say the same thing, "this is all we can do" and many episodes of my father falling and having trauma unrelated to Parkinson's, we read an article about a group in Louisville Kentucky that was working with Parkinson's patients with success. We scheduled an appointment with Dr. David Houghton. He was truly an answer to a prayer. His care has been over and beyond anything that we could ask for, and we had seen the care of 100's of doctors up to this point. Dr. Houghton has changed my Dad's life, his mobility, his attitude and general well-being, even when un-Parkinson's related. I assure you that your experience with Dr. Houghton would be the same as ours.With Gratitude, Patient of 5 years. Dr. Houghton is affiliated (can practice and admit patients) with the following hospital(s). We are sorry, it looks like we don't have insurance information. Please call Dr. David Houghton's office for more information. 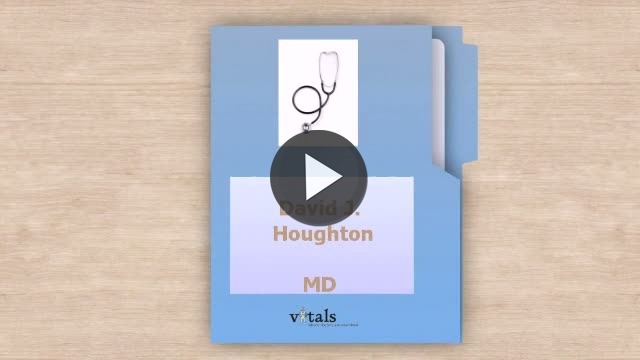 Take a minute to learn about Dr. David Houghton, MD - Neurology in Louisville, KY, in this video.